These days, many reps are more comfortable sending an automated email than picking up the phone. But, before moving forward, it's worth identifying whether the phone is even the best way to follow up with leads today. That answer is "Yes." A recent study by sales pro Marc Wayshak shows the phone is still the best tool in selling, with 41.2% of respondents naming their phone as their most effective sales tool. So after your trade show event - conduct your follow-up to your booth leads by using this advice! The best days of the week to call leads are on Wednesdays and Thursdays. In the classic Lead Response Management Study, Wednesday and Thursday were the best days to qualify leads. In fact, there was a 49% difference between leads qualified (meaning they agreed to enter the sales process) on Thursdays and those that qualified on Tuesdays. So, does this data still hold true today? A 2017 CallHippo survey looked at 24 weeks of data across thousands of companies and found Wednesdays and Thursdays are still the best days to call prospects. In this survey, they found a 46% difference between calls made on Wednesdays (the best day to call) and those made on Mondays. Friday remained the worst day on which to call prospects. The best times of day to call leads are between 4:00 and 5:00PM and between 8:00 and 10:00 AM in their local time zone. The Lead Management Study discovered the best time to qualify leads was between 4:00 PM and 5:00 PM local time. The second-best time was around 8:00 AM. The worst time of day to call leads is between 11:00 AM and 2:30 PM in their local time zone. The worst time to qualify leads during the work day? Stay away from the phone at 11:00 AM and 2:30 PM respectively -- unless you're unafraid of the 164% qualifying success rate difference between reps who called between 1:00 PM and 2:00 PM and those calling between 4:00 PM and 5:00 PM. When looking at how this data has aged, the same CallHippo survey found between 4:00 PM and 5:00 PM is still the best time to call prospects. 11:00 AM and 12:00 PM is the second most successful time to call -- a different result from the Lead Management Study -- and between 1:00 PM and 2:00 PM is the least successful time. A 2018 PhoneBurner study, however, found the most productive time to cold call prospects is 10:00 AM in the prospect's time zone. Of those salespeople surveyed during this time, 15.53% had their calls answered -- 3% better than the second-best hour, 2:00 PM, which saw a 15.01% success rate. Their data did support the findings that between 12:00 and 1:00 PM is the worst time to call your prospect. The best response time for following up with leads is within 10 minutes. The Lead Management Study saw a whopping 400% decrease in odds of qualifying leads when reps waited 10 minutes or more to follow up. And the rate of success continued to decrease the longer reps went before following up. The best time to call new leads was within five minutes of their first trigger event. A 2018 InsideSales.com test seems to support this data -- kind of. In their survey, InsideSales.com Labs tested the response times and persistence of nearly 200 companies and scored their replies. They did this by looking at only high-priority inbound leads signaling intent to purchase (i.e., demos, contact forms, or pricing requests). International siding company James Hardie earned the number one spot with a 3:48-minute response time and seven touches total. They were the only company to come in under that magic five-minute follow-up mark, however. The other companies in the top 10 rang in slightly under or well above the 10-minute mark. LinkedIn had a 9:03-minute response time with five touches total. Consulting firm KPA had a 19:37-minute lead response time but a respectable six touches total. And platform company Dynamic Signal nabbed the number two spot with an 8:20-minute response time and an impressive 14 total touches. With all of this updated data, what should you do when it pays off and a prospect actually answers the phone? Sales reps should make at least six follow-up calls to leads before moving on. The Lead Management Study shows reps should call at least six times before throwing in the towel. Shockingly, over 30% of leads in the study were never contacted at all. By making more call attempts -- or call attempts, period -- sales reps experienced up to a 70% increase in contact rates. A 2018 Bridge Group Inc. SDR Metrics Report found most reps make an average of 45 dials per day -- a number that's hovered around 50 for the last decade. The report states "There is much debate over the usefulness of this metric. It remains, however, one of the few levers that individual SDRs are able to pull. Dials are 100% under your reps' control -- conversions, demos, and meetings are not." The study also cites an article by EverFi President Preston Clark in which he laments "The Rise of the Silent Sales Floor." He says, "When the hum of voices is replaced with the hum of keystrokes, you should be very, very concerned." To remedy this, Clark recommends reps learn how to lead a sales process from start to finish. "Every step. Every stage. Open to close." Sales reps should use active, friendly, and engaging language to interest leads within the first five minutes of connecting on a follow-up call. Once connected, you have five seconds to earn five minutes of your prospect's time. Successful calls are almost twice as long as unsuccessful calls, clocking in at 5:50 and 3:14 minutes respectively. Successful calls are about educating your prospect and selling a meeting. Therefore, successful salespeople spend 54% of the call talking, while unsuccessful salespeople spent only 42% of their time speaking. Don't be afraid of the "monologue." Successful calls saw a whopping 70% more five-second monologues from salespeople than unsuccessful calls. Don't fear silence from your prospects. Unsuccessful calls saw prospect monologues up to eight seconds long. In successful calls, prospect's monologues lasted only around 3.5 seconds. Using "Did I catch you at a bad time" makes you 40% less likely to book a meeting. Asking "How are you?" correlates with a 3.4X higher likelihood of booking a meeting. Beginning your call with "The reason I'm calling is …" increases your success rate by 2.1X. Asking "How have you been?" increases success rates by 6.6X. Using "We" instead of "I" increased success rates by 35%. Sales reps should source referrals to increase the pool of leads they're following up with every day. While the Lead Management Study's data showed reps should be calling at least six times before moving on, it's also important to pay attention to how many leads you're reaching out to. A recent survey by Marc Wayshak shows most salespeople aren't getting in front of enough prospects. In fact, 66.7% of respondents reported reaching out to 250 or fewer leads in the past year. Only 15% reached out to over 1,000 prospects. While 54% of salespeople in Wayshak's survey lamented it's harder -- or much harder -- to get in front of prospects than it was five years ago, these numbers also reveal an increased need for salespeople to outreach to more prospects and leads than ever before. One way to boost your pipeline and gain more leads to call? Ask for referrals. 57.9% of respondents asked for fewer than one referral a month. Roughly 40% reported rarely asking. And only 18.6% asked every person they met with for a referral. Since referrals have a much higher chance of closing, they can be a great place to start when you're trying to increase lead count and thereby the number of follow-up calls you can make. Few salespeople relish making prospecting calls. But it's one of the most important parts of the job. So, shouldn't you do it well and maximize your impact, so you can spend more time doing the part of your work you actually love? This data can help you do just that. The Tradeshow Network Marketing Group is a full-service, trade show display company based in Chicago, Illinois, which serves clients nationally and internationally. Products include custom exhibit designs, modular exhibit displays, fabric booths, portable designs, custom rental exhibits, and accessories. The Tradeshow Network Marketing Group specializes in custom rental exhibits, drawing from its own display inventory to configure modular exhibits to fit all budgets and booth sizes, from 10 x 20 inline booths to 20 x 20 and larger island spaces. 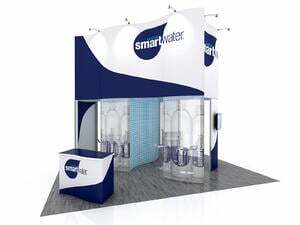 Their comprehensive trade show services include exhibit design, booth installation and dismantle, shipping and logistics, exhibit storage, exhibit management, online inventory and show management tools for clients, and marketing services such as market research, branding, graphic design and messaging.